The long wait is finally over and Star Wars fans all around the world have finally had the chance to see Rogue One: A Star Wars Story. While the movie does do a good job of standing on its own and is the very first Star Wars movie to ever take place outside of the Skywalker saga, it does have a ton of connective tissue with Star Wars: A New Hope. In fact, it actually features some unused footage shot for the original movie, which director Gareth Edwards made use of. The director of Star Wars: Rogue One recently spoke with Radio Times about the movie and revealed that there were indeed shots from Star Wars: A New Hope in the movie. 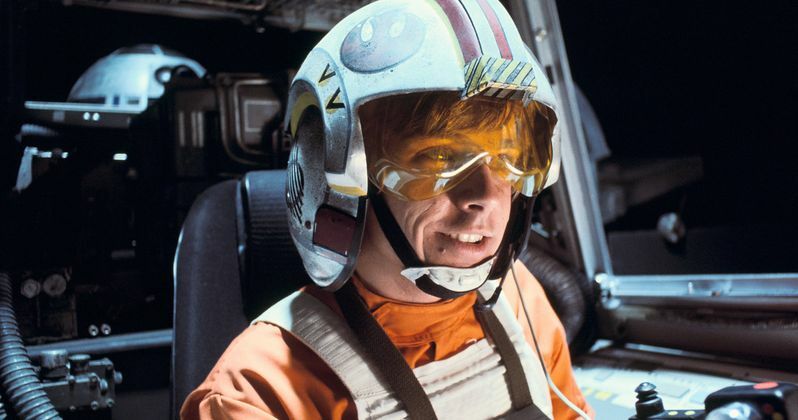 The footage was discovered when he and some other members of his team were touring the archives at Skywalker Ranch and they decided to use the discovery as an opportunity. Here is what he had to say about it. "We got the neg documents and found the clips from A New Hope that hadn't been used. And there's pilot photography and lines that were never featured in A New Hope. Through the magic of ILM [special effect studio Industrial Light and Magic] they cut round them and manipulated them and stuck them into our cockpits. It's the sort of thing you think, 'how many people will notice?' Do you know what I mean? It's like, is this a lot of effort for very little reward? At the world premiere in LA, there was this massive cheer at a particular point in the film. It was the only time during the premiere where I actually punched the air." The shots that were used in Star Wars: Rogue One were from the famous assault on the Death Star in the original Star Wars and it served as a way to include both Gold and Red Leader in this first spinoff movie. It wasn't just a shoehorned in thing, either. Given the context of the movie, which centers on how the Rebels got their hands on the plans for the Empire's planet-destroying weapon, it makes a lot of sense to see the famed Rebel pilots in this movie. It seems as though the effort that went into this little detail paid off, since fans have definitely taken notice and it blended seamlessly into the movie. Gareth Edwards mentions that Industrial Light & Magic was responsible for making this happen and that isn't the only thing they were busy doing for Rogue One: A Star Wars Story. The special effects legends also had their hands full re-creating the likeness of the late Peter Cushing as Grand Moff Tarkin, who appears in the movie as a completely CGI character. This has been divisive among fans, but the character is very central to the Death Star plot and his inclusion in the movie is very logical. At the very least, it is impressive how much ILM was able to do in order to make this movie really connect to Star Wars: A New Hope. Nobody was expecting Star Wars: Rogue One to match the box office success of Star Wars: The Force Awakens, but after this weekend it is safe to say that Disney and Lucasfilm have another big hit on their hands. The movie grossed $290 million worldwide this weekend, meaning that this first Star Wars standalone movie is going to wind up being a big success. No doubt, it is small details like Gareth Edwards' decision to use the footage from Star Wars: A New Hope that will keep fans coming back to see the movie repeatedly and help further its success moving forward.